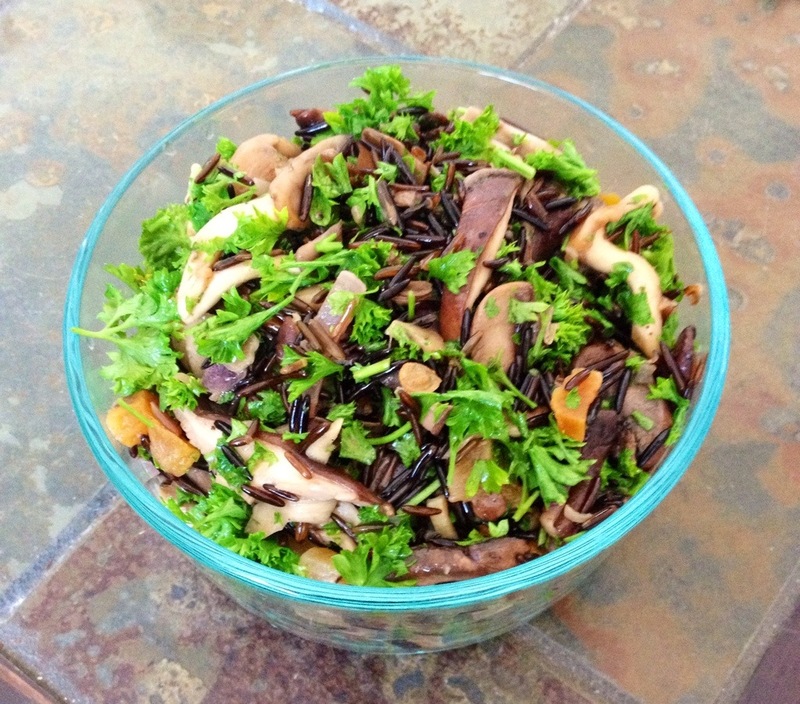 I love wild rice – maybe it’s the whole growing up in Minnesota thing – and I’ve had some siting in my cupboard for a long time now that I finally remembered. Also, due to a raw food stint in pre-blog times, I discovered that if you soak wild rice long enough, the grains soften and you don’t need to cook them, which is super helpful when it’s summer and you don’t want a pot on your stove for 40+ minutes. 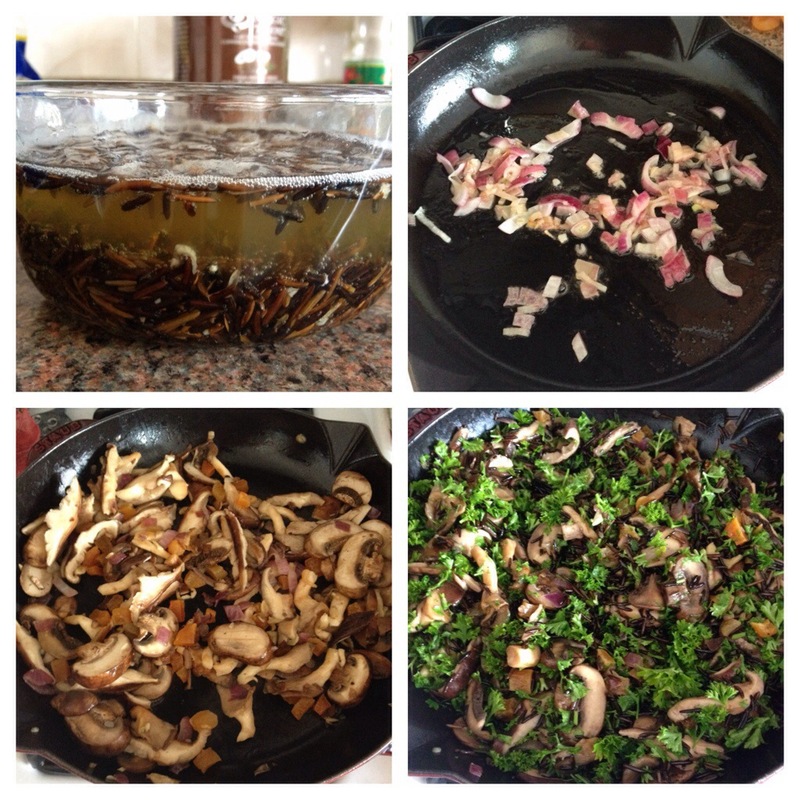 Sidebar: I think wild rice kind of smells like tea – does anyone else get that? – Add in chopped dried apricots – not too many – and this was my addition completely: it just seemed like it would be a good combination, and it totally is! !